The operation of a corporation and LLC is very similar, but but in order to make it clear which entity you are talking about, a distinct set of terms has been created for each entity. *Some states refer to these as Certificates of Formation or Certificates of Organization. 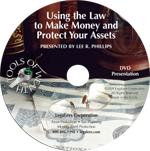 See http://www.legalees.com/state-information/ for state-specific information on forming LLCs. Each of these terms works within the company in basically the same way as its counterpart. The documentation for each entity is very similar, but of course, the terms are different depending upon which entity you are dealing with. You need to get to know the terminology used with an LLC because for most small businesses, an LLC should be the legal entity of choice. There are only a few reasons why you may wish to form an old-style corporation. A C corporation is required if you want to have venture capital investors give you money. You can’t list on the New York Stock Exchange unless you have a corporate legal structure taxed under Chapter C of the IRS code. Unfortunately, that also means double taxation (more on that in our next article). The terminology of taxation is often the most confusing, because in reality it has little or nothing to do with the legal structure of forming either a corporation or LLC. The legal structure and tax structure are separate considerations. I have often explained the different tax structures available in an LLC (see Taxation of an LLC), but taxation choices are also available in a corporate legal structure. A corporation can be taxed as a C corporation, S corporation, or even a nonprofit under the corresponding provisions of Subchapters S or C or the nonprofit 501(c)(3) of the IRS Code. 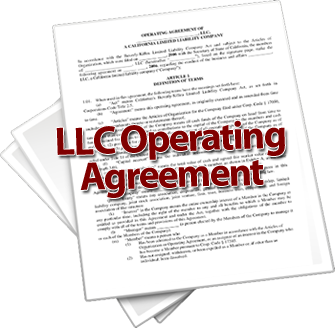 The LLC has the same tax options as a corporation, with the additional choices of being taxed as a sole proprietorship or a partnership. How you want your company taxed in an LLC depends on how you are making money. Although these tax structures are separate from the company legal structures, you may include your taxation choice in your bylaws or operating agreement. Dividends or distributions that come because you are a shareholder or member are reported in the same place on your tax form. The differing terms point to the legal structure, but their function in the company–and the tax code–is the same. For the vast majority of most small business owners, an LLC legal structure is better because it is usually simpler to manage and offers charging order protection in addition to the corporate shield. So start practicing calling your owners members, make sure to record and distribute membership interest certificates, and refer to the person running your company as the manager. For more information on the similarities and differences between an LLC and a Corporation, see my article at http://www.llcwizard.com/llc-vs-corporation.